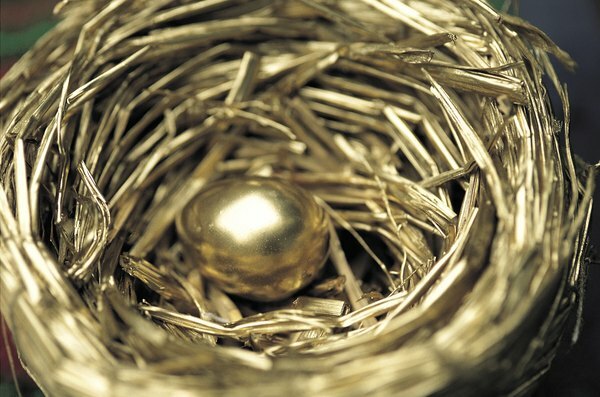 For most retirees, that Social Security nest egg is portable. 2. Can a Former US Citizen Receive Social Security Retirement Benefits? 3. Are Green Card Holders Living Abroad Eligible for Social Security Benefits? For many prospective retirees, the promise of a leisurely post-employment life is marred by the worry of financial stress and inadequate savings to cover the basics. Fortunately, if you've paid into Social Security over a working lifetime, you're due a monthly retirement payment. You may collect benefits while living in most foreign countries or in some cases, even if you are a non-resident living in the United States. You must be at least 62 years of age, and have accumulated at least 40 work credits over your lifetime, to be eligible for Social Security retirement benefits. You earn a work credit by earning a minimum amount of wages or salary, and paying Social Security taxes on the money. Social Security grants a maximum of four credits a year; in effect, you need to work at least 10 years to draw Social Security when you reach retirement age. If you are a non-resident alien, you are exempt from Social Security taxes if you are here as a student, scholar or trainee, and are entitled to a refund if your employer withholds these payment from your paycheck. Social Security calculates your benefit amount by applying a formula to your lifetime earnings record. In 2012, the average monthly Social Security payment was $1,230. Your own benefit depends on your earnings and when you retire; if you take early retirement, then the benefit is reduced up to 25 percent. Full retirement kicks in from 65 to 67 years of age, depending on the year of your birth. The formula applies to citizens, resident aliens and non-resident aliens who are eligible for benefits. If you are a non-resident alien, however, the Internal Revenue Service requires withholding of 25.5 percent from your retirement or disability benefits, unless your nation of origin has a tax treaty with the United States. If you plan on a move abroad, you may still collect Social Security. The agency considers you a U.S. resident until you have been out of the country for at least consecutive 30 days. If you are a U.S. citizen, then you may continue to receive your full benefit with no restriction, unless you live in North Korea or Cuba -- countries to which the U.S. Treasury Department bans transfers of money. If you are not a U.S. citizen, but still due benefits, Social Security may place some conditions on your benefits depending on your country of citizenship. As of 2012, citizenship in most of Western Europe, Canada, Israel, South Korea and Japan meant no restrictions on benefits. For other nations, Social Security may restrict dependent or survivor's benefits, but not retirement. The agency may limit retirement benefits to six months of residence outside the United States at a time, depending on whether or not the United States has signed a Social Security treaty with that country. If you are planning a move or long-term stay in another country, report your new address to Social Security. You may continue to receive benefits via electronic funds transfer, no matter where you live. Social Security will require all beneficiaries to receive payments electronically as of March 2013. If you need assistance while outside the United States, contact Social Security Office of International Operations or visit the nearest U.S. consulate or embassy, which can handle inquiries. Federal law bans Social Security from issuing Social Security numbers to some non-residents, including those holding tourist -- B2 -- visas, visitors on business, or spouses or dependents of the same. As a result, these non-residents do not pay Social Security taxes and would not be eligible for retirement benefits, unless their status is adjusted after issuance of a new visa.